America's beloved Apple stays on top yet another week with a .10 percent gain! Undoubtedly, the new iPhone 6 has had a heavy impact on the mobile device breakdown among pMD's charge capture physicians. 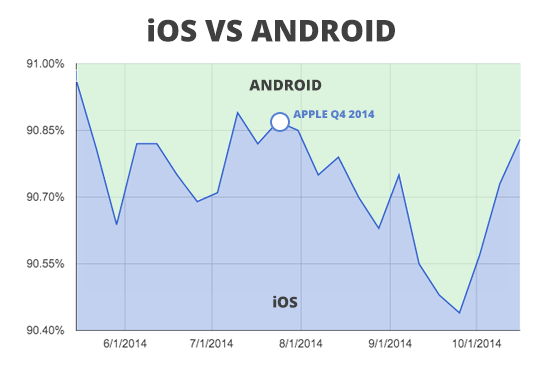 Android users have been crossing enemy lines to switch to the iPhone, and our data below shows the breakdown in iPhone device models since the introduction of the iPhone 6 on Sept. 19.